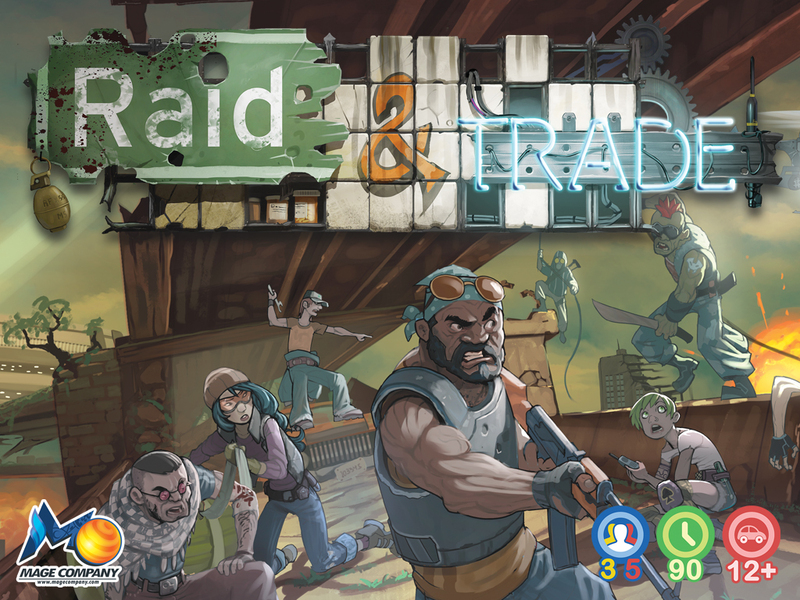 Just prior to the Essen game fair, I had a chance to talk with one of the game developers for the new game Raid & Trade by Mage Company, Malte Kühle. 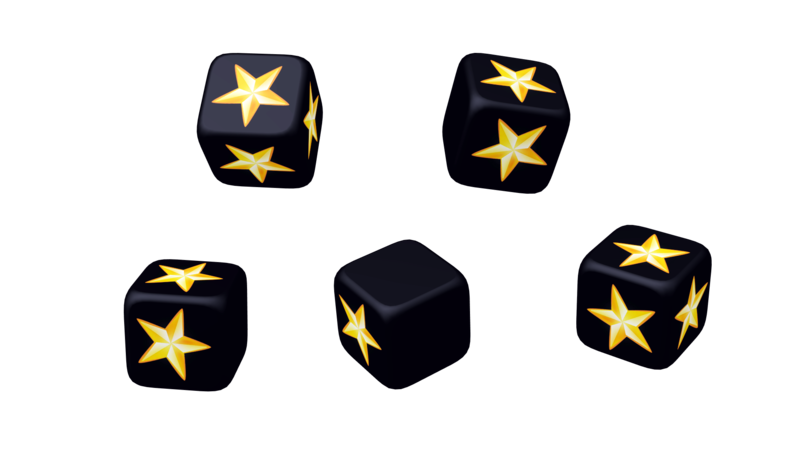 Mage Company is currently running a campaign over on Kickstarter for the game. Here is that interview. Enjoy! Jonathan: What is Raid and Trade? Tell us a little bit about the game. Malte: Raid and Trade is a negotiation board game that takes place after almost all of civilization has been destroyed by World War III. 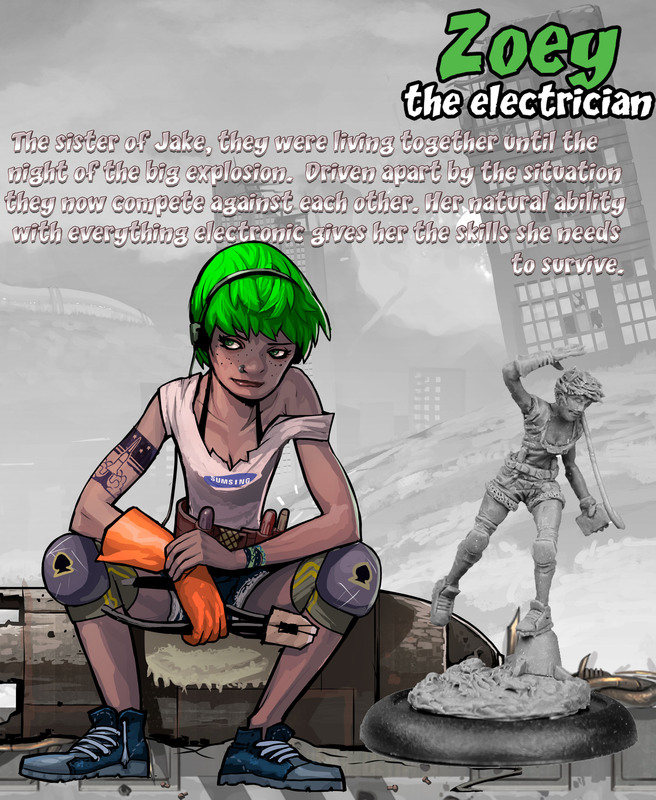 The players play different unique characters and try to collect as many resources as possible to meet one of 3 victory conditions. The main mechanics are spending action points and negotiation. Jonathan: What kind of characters should we expect to see? Will there be your average survivor of the apocalypse types or should we expect something completely different? Malte: Well they are kind of the average survivors. We have a medic, a bodyguard, a mechanic, an electrician and a trader. Although we are used to those kind of characters, I like how they each have their individual abilities. Jonathan: Earlier you mentioned 3 victory conditions, what do you have to do to win the game? Malte: Correct, there are 3 ways to win. One way is by getting 20 skill points. You get those skill points when you craft items. To craft items you need resources. So you have to raid houses in order to get resources and you have to trade with your opponents to get the fitting resources you need for your items. The second way is gaining 10 character points. Character points indicate how good or evil you are. Being evil gives you advantages when raiding but there are events that may hurt you. Being good is harder because sometimes you have to show mercy and therefore you don’t get resources, but if you manage to get your character to 10 points you win. The third way is fulfilling quests. There are always some quests available to all players. Those quests require different elements of the game. For example: You need 6 resources and have to attack 2 players in one round successfully. The first player who fulfills 3 quests wins the game. Jonathan: I’ve seen a little of the artwork for the game. What can we expect as far as the overall look of the game? Malte: The overall look is in my opinion a nice crossover between the dark theme of an apocalyptic world and the fun to play. The characters look a bit like in a cartoon so the overall atmosphere won’t be too dark. The artwork also has some science fiction elements. If you look at the houses, they are partly futuristic. By using custom miniatures the theme is kept alive very well during game play I think. Jonathan: I’m glad that you mentioned the miniatures. I’ve seen a couple of them and they look fantastic. How many does the game come with? Malte: The game will come with 5 miniatures. One for each character. Jonathan: Now we know about the game itself, but I’d like to dig a little deeper and find out about the story behind the game. What was the inspiration for Raid and Trade? What made you want to make this type of game? Malte: Here I have to pass. 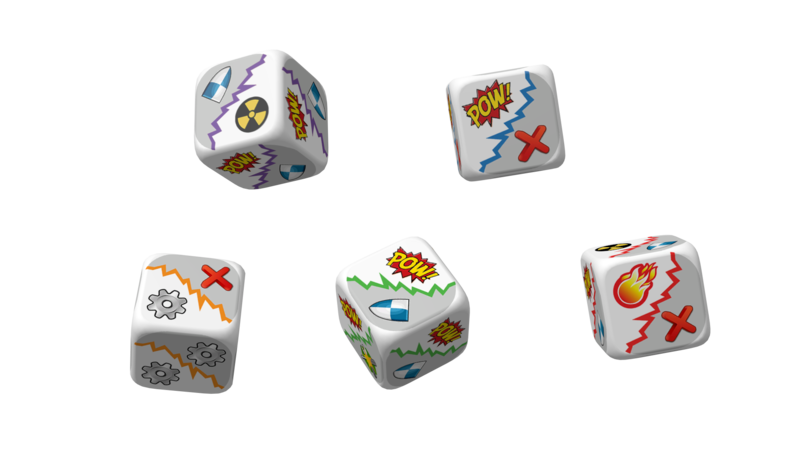 The original idea and the theme came from Charalambos Tsakiris, the designer of the game. Then I was supposed to develop the game further. I really liked the theme from the beginning on and so I started developing it to the game we will produce now. Jonathan: I see. So the game is his design that you basically filled in the blanks for. Is there any part of the game that you had complete creative control over that you are especially proud of? Malte: Actually I had complete creative control over almost every part of the game and there are some things I am really proud of: First of all is the main improvement of the replayability. The first idea only had a board with some streets on it and all buildings were the same. I developed a modular board and different house types. That makes every game different. Also most of the cards, especially the event cards are made by me and I think there are some really nice events in the game, that will have a strong impact on the game play. Last but not least is the character point mechanic. It was only a rough idea and now it became a victory condition! Jonathan: What would you say is your favorite part of the game? Malte: Definitely the many ways of interaction between the players! Jonathan: I know that I mentioned the artwork of the game earlier, but it’s really great. Who is the artist for the game? Malte: The artist is Anthony Cournoyer. He already designed Höyük which will be the 2014 release of Mage Company. The art in Höyük is awesome, so it was an easy decision to let him design Raid and Trade. And I am really happy with his job! He is always open to suggestions and so I feel sometimes as if he drew the characters out of my head. Jonathan: Ok, this game sounds amazing and it looks amazing! When can we expect to get our hands on a copy of it? Malte: We plan to start the Kickstarter campaign for November the 3rd. So you should get your copy in spring/summer 2015 if everything goes well. 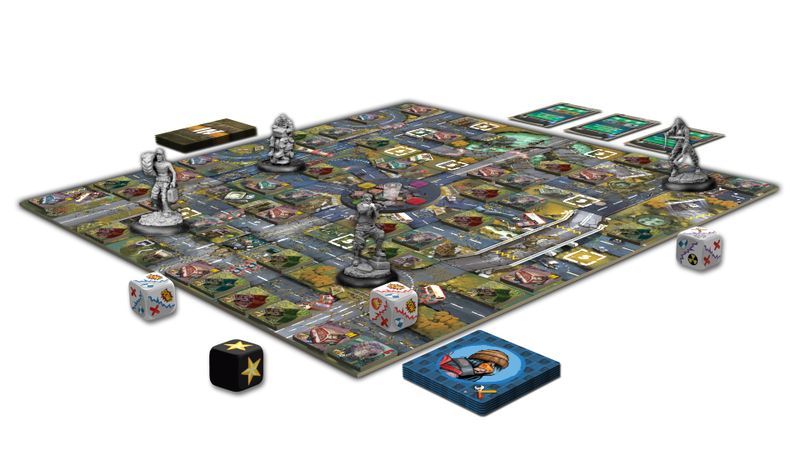 We will also have some advanced prototypes with final art in Essen to show the game to all the gamers out there! Jonathan: Are there any other projects in the work? What plans do you have for the future? Malte: I am designing a board game called “Das Turnier” (German for “The Tournament”) which is about a medieval tournament of knights. I’ve worked on this game since 2010 but in the last year I was too busy with other projects. Now I am in the final phase of play testing. In Essen I am going to show it to the guys from Mage Company and maybe you will hear more about it soon. I am also designing a game about dragons but it’s only a first idea right now. Besides the game design I have a “normal” job in an office. I also translate rules into German and hope to develop further games with Mage Company. Jonathan: Malte, I really appreciate you taking the time to sit down and talk with me about Raid and Trade. I look forward to checking it out and finding out more about your other new games. Malte: Thank you very much for your interest in this game! Jonathan: Thanks again. I wish you the best of luck with the new game. Raid & Trade is currently running a campaign on Kickstarter right now. Please give your support and help fund it by visiting the site below. You can also check out Mage Company at their website for more information. This entry was posted in Interviews with Designers and tagged board, board games, card, card games, games, interview, kuhle, mage, mage company, malte, malte kuhle, raid, raid & trade, trade. Bookmark the permalink.